Luis Suarez: The Racial Controversy a Misinterpretation? When Manchester United visited Anfield on October 15th for their eagerly awaited Premier League clash with Liverpool, many expected a tense and thrilling affair. Although this slow-burning match was captivating throughout the 90 minutes, the post-match reaction primarily focused on allegations of racism made by Patrice Evra. Instead of talking about the events on the field, particularly Steven Gerrard’s free-kick and Javier Hernandez’s equaliser, most sporting discussion had been drowned out by the continuously rumbling race row. Suarez claims that his comments on the pitch were misinterpreted, despite the fact that the Uruguayan international has been charged by the FA for racial abuse. 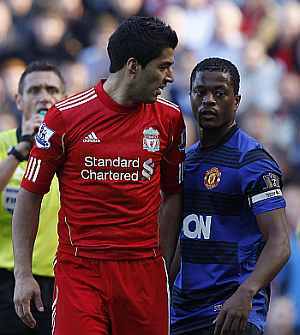 Although Suarez has not specified what he actually said to Evra, he argues that it was not offensive. “I didn’t insult him. It was only a form of expressing myself. I called him something his own teammates from Manchester call him,” Suarez told the Uruguayan newspaper El Pais. The British Media have suggested that Suarez used the Spanish word “negrito”. 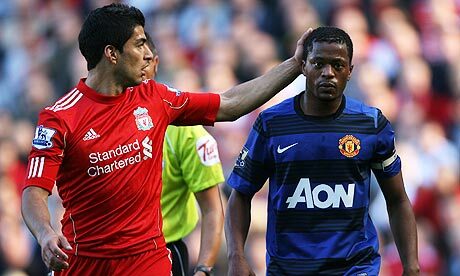 If this is the case, the question of whether Suarez racially abused Evra becomes more convoluted, according to scholars who have studied racial issues in Latin America. “It’s about questions of translation or context,” Mark Sawyer, director of the Centre for the Study of Race, Ethnicity and Politics at the University of California Los Angeles, told CNN. The literal translation of “negrito” is “little black man”. But generally, the term is not seen as a racial slur in Latin America, Sawyer revealed. Quite the contrary, in fact, as “negrito” is often used as a term of endearment. However, the word has several different meanings in different parts of the world. “In Puerto Rico, it has one meaning. In Cuba it has a slightly different connotation and in the Dominican Republic it has a slightly different connotation,” said Jorge Chinea, director of the Centre for Chicano-Boricua Studies at Wayne State University in Detroit. Therefore, the issue surrounding the racial allegations made by Luis Suarez is actually quite culturally sensitive. Although racism is obviously unacceptable and completely borne from ignorance, certain terms are more offensive in some regions than in others.